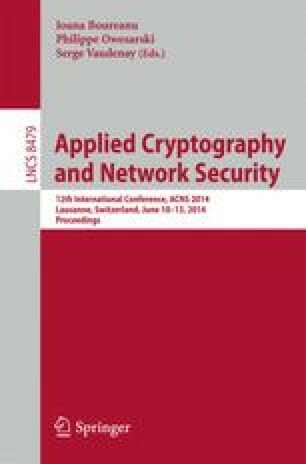 Almost all existing password-based authenticated key exchange (PAKE) schemes achieve concurrent security in the standard model by relying on the common reference string (CRS) model. A drawback of the CRS model is to require a centralized trusted authority in the setup phase; thus, passwords of parties may be revealed if the authority ill-uses trapdoor information of the CRS. There are a few secure PAKE schemes in the plain model, but, these are not achievable in a constant round (i.e., containing a linear number of rounds). In this paper, we discuss how to relax the setup assumption for (constant round) PAKE schemes. We focus on the multi-string (MS) model that allows a number of authorities (including malicious one) to provide some reference strings independently. The MS model is a more relaxed setup assumption than the CRS model because we do not trust any single authority (i.e., just assuming that a majority of authorities honestly generate their reference strings). Though the MS model is slightly restrictive than the plain model, it is very reasonable assumption because it is very easy to implement. We construct a (concurrently secure) three-move PAKE scheme in the MS model (justly without random oracles) based on the Groce-Katz PAKE scheme. The main ingredient of our scheme is the multi-string simulation-extractable non-interactive zero-knowledge proof that provides both the simulation-extractability and the extraction zero-knowledge property even if minority authorities are malicious. This work can be seen as a milestone toward constant round PAKE schemes in the plain model.